Flowers installed in Jerusalem that React to the Environment « Adafruit Industries – Makers, hackers, artists, designers and engineers! Wonderful project and execution from HQ architects now in Jerusalem, via designboom. 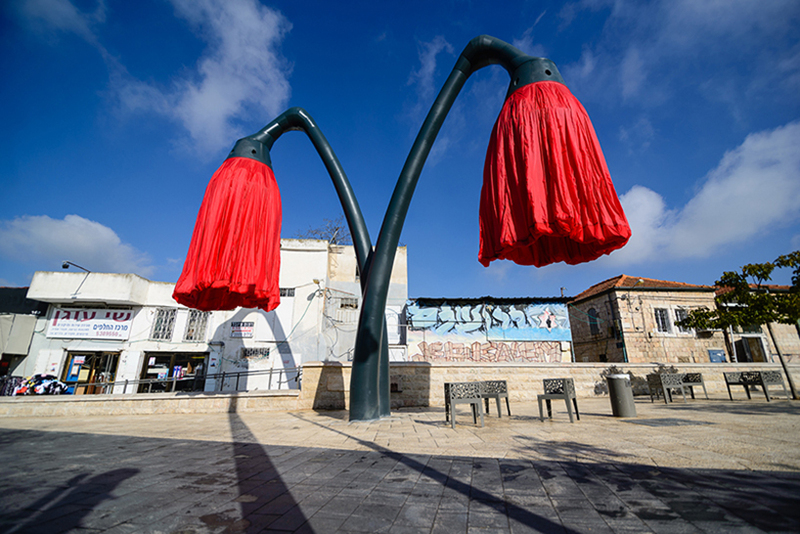 created by HQ architects, ‘warde’ is an urban installation located in the heart of jerusalem. composed of four 9-meter high by 9-meter wide inflatable flowers, this project is part of the municipality’s effort to improve the urban space of the city center and in this specific case, of the vallero’s square poor condition. the square is currently divided by a tram line into two urban spaces where facilities such as waste composters and an electricity sub-station patchwork the landscape.